CHEAQS Next is the next generation of speciation programs written by Wilko Verweij. The first member of this family was GECHEQ, developed between 1986 and 1996. The first edition of CHEAQS (the light version) was developed between 1998 and 2004, the Pro version between 2004 and 2013. This version is still available for download here. The first beta-release of CHEAQS Next became available early 2014, the first full-grown version in January 2015. The name CHEAQS was partly inspired by Lowell George's song Cheek To Cheek, which you can find everywhere on the internet, e.g. here. CHEAQS Next's interface is developed using Firefly Visual Designer. The program is compiled using Powerbasic. The PowerBasic and especially Firefly communities are thanked for their excellent support, most notably by their forums. The website is based on designs by papab30 and Alexis Corredor (winkhosting), available from open source web design. CHEAQS was written by Wilko Verweij (1961). He studied inorganic chemistry at Groningen University where he did a master thesis on speciation of arsenic (1986). From 1986 until 1991, he did his Ph.D. research at the Limnological Institute (subject: speciation of copper in lakes with high content of organic matter). You can still find this thesis here (long download time). For this thesis, Wilko developed his first speciation program called GECHEQ. Later he continued developing chemical equilibrium models, with special attention for the user friendliness and chemical intuition. 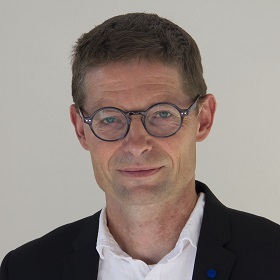 From 1991 until 2017, he worked at the National Institute for Public Health and the Environment, since 2018 he work at Deltares. CHEAQS is not a product of these institutes. Main focus of his current work is water quality in a national and international context, with special attention for the implementation of the European Water Framework Directive. Wilko visited Bulgaria, Croatia, Macedonia, Romania, Serbia,Turkey to assist those countries in implementing the Water Framework Directive. See e.g. Twinning Project (2007-2009), Twinning Project on Surface Water Quality Monitoring (2011-2014) or Twinning Project in North-Macedonia. He also worked in Tunisia.